Which Powerhouse King Are You? Been wondering which #PowerhouseKing smartphone best fits you? Take this quick quiz to know whether you need the #ROGPhone, #ZenFoneMaxProM2 or the #ZenFoneMaxM2 as the perfect mobile phone that suits your lifestyle! I have a mixed preference. I keep things well-balanced between games and social media. The ROG Phone is priced at PHP 49,995 for its 8GB RAM/128GB ROM and PHP 61,995 for it 8GB ROM/512GB ROM at ASUS Concept Stores and ROG Concept Stores. In addition, the ROG Phone accessories are sold separately in ROG Concept Stores. You enjoy the most out of your mobile phone – from casual usage, heavy usage, down to the style. We highly suggest the ZenFone Max Pro M2 for someone like you. Its 5,000mAh battery capacity that is coupled with the Qualcomm™ Snapdragon™ 660 AIE, will be more than enough for all your smartphone needs. Moreover, with a 12MP Sony IMX 486 f/1.8 + 5MP portrait sensor dual rear cameras, you are assured of amazing, high quality photos. Which Powerhouse King Fits You? Been wondering which #PowerhouseKingsmartphone best fits you? 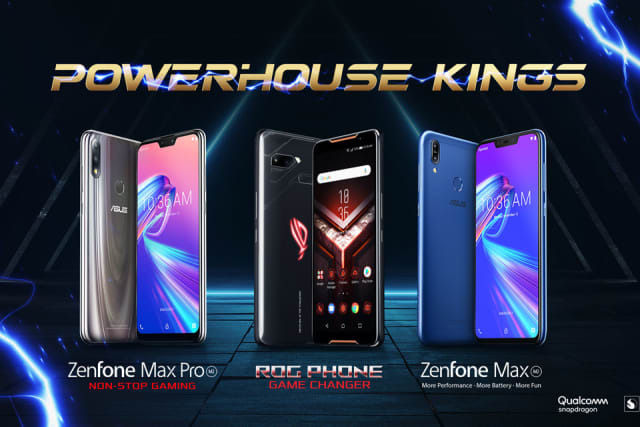 Take this quick quiz to know whether you need the #ROGPhone, #ZenFoneMaxProM2 or the #ZenFoneMaxM2 as the perfect mobile phone that suits your lifestyle!